Hokkien language one of the chinese mandarin dialect is known as one of the dying language in this world and since i have hokkien heritage, here are some of the hokkien words i use daily life when i used to talk to my grandmother with. Nevertheless, this is not my mother tongue so i might get confused with certain terms as in Malaysia, the north and southern hokkien sounds a bit different as well as to the others from other countries too. Yet, Hokkien language of different clans can still be understood among each other rather than other chinese dialects such as cantonese. 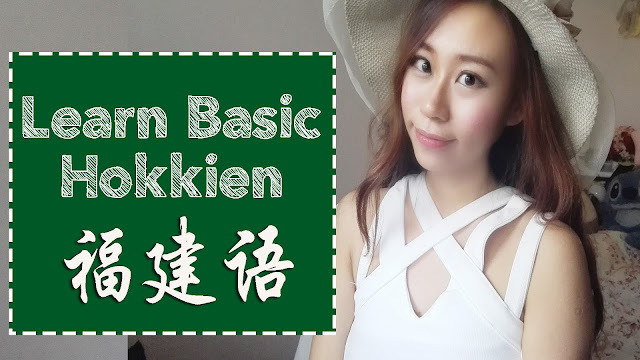 So if you ever speak Hokkien, do pass on this language heritage to your young ones and keep speaking it as it is important to remember our roots and be proud of our hokkien language !